How often does the child in your life automatically pick up a book magazine, newspaper, comic, or other printed material simply for the pleasure of opening his or her mind? Believe it or not, that act of independent reading could mean the difference between lifelong reading achievement and a lifetime of struggling with literacy. Experts have begun to realise that a young person’s interest in independent reading by kids, tweens, and teens seems to be a prime indicator of long-term success. Many studies have shown a direct correlation between the desire to independently pick up a book and good grades in school. However, not all children will naturally gravitate toward the act of reading for information or pleasure. That’s where you as a parent or educator come into the scene. Instead, your child should be picking up a book on his or her own, whether or not he or she can read all the words. A prime example of this is the three-year-old who cannot read but who enjoys sitting on a chair and thumbing through favourite books or magazines. Not only does this kind of spontaneous independent reading increase a child’s imagination, retention, focus, comprehension, word identification, fluency, and vocabulary, but it also allows him or her to build interest in a subject or variety of diverse subjects. For example, if he or she finds the Roman Empire fascinating, independently reading about that time period and historical era could broaden his or her understanding of society today. With that said, it’s important for you as the mum, dad or teacher not to wait for independent reading to suddenly appear. Sometimes it will happen on its own, but often it does not. You must therefore take an active role in encouraging it to become a habit. You can also begin building your child’s personal “library” (or, if money is a factor, you can always borrow books from a school or local library once a week.) That way, he or she will have many choices of books to peruse during independent reading. If you’re an educator, you can urge your students to engage in independent reading by designating classroom time for silent reading. 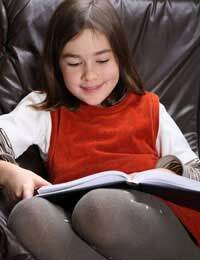 Even if you can only spare 15 minutes at the end of the day, it will be time well spent, as the children will start to become accustomed to reading on their own. Remember that reading achievement is linked to a love of independent reading. So the next time your son or daughter picks up a book, allow him or her to have some private moments. You’ll never regret your decision to embrace independent reading.